Noted Algerian raï singer Rachid Taha died at the age of 59 from a heart attack suffered early Wednesday in Paris, his family stated to AFP. "His son, Lyes, his family, all his friends and his label Naïve, with regret and immense sadness announce the death of the artist Rachid Taha, which occurred following a cardiac arrest at his home Lilacs," said the statement sent to AFP. Taha, who was Algerian and moved to France at the age of 10, was known for his impact in the hexagonal rock scene ever since his debut in 1981 with Carte de Séjour and became the standard bearer of the French community with second-generation North African origins. Taha, who grew up with a taste for punk and rock, never ceased to be faithful to his roots as he infused oriental music into his work, perhaps best exhibited though his 2004 revival of The Clash's Rock the Casbah. He also had a great success a few years earlier with the album Diwan, which contains Chaabi songs and the hit song Ya Rayah. In 1998, he played at Bercy with Khaled and Faudel for the show 1,2,3 Suns. 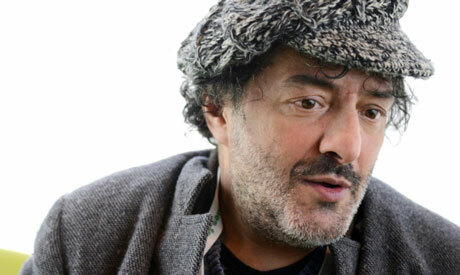 Rachid Taha was about to release a new album through the Believe label.